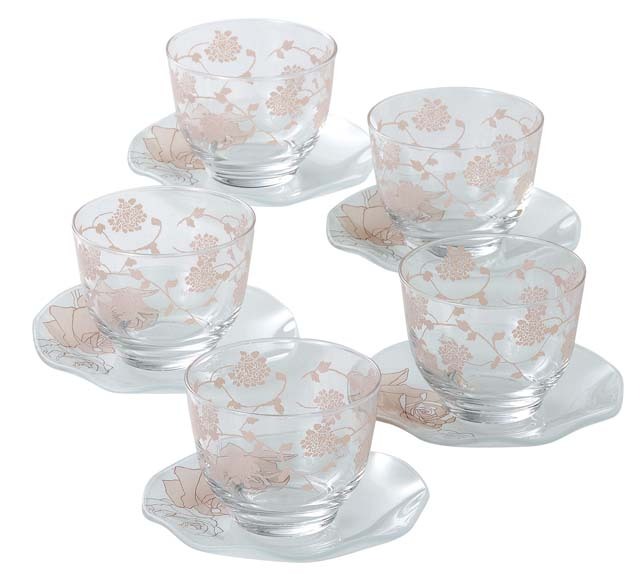 Japanese brand Reiko Takashima’s glass tea cup and saucer (set of 5). Soft pink flower patterns on the cup and saucer. Ideal item for a wedding gift, birthday gift, etc.